The exuberant paintings and sculptures of maverick Texas artist David Bates (born 1952) combine modernist ideas about visual representation with American eclecticism, resulting in a body of work that is at once sophisticated, soulful and accessible. 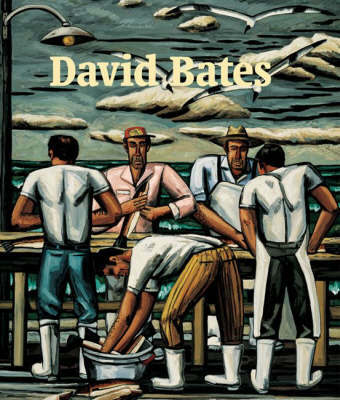 From his lush early paintings of the Arkansas nature reserve Grassy Lake, to his figural reliefs and sculptures created at a bronze-casting foundry in Washington, and his most recent body of work depicting survivors of Hurricane Katrina, this catalogue provides an in-depth look at the life and work of a unique and significant American artist and serves as the first full monograph of Bates' work.The book is published in association with the Modern Art Museum of Fort Worth, which holds many of his works in its permanent collection. Bates' work has been shown in numerous solo and group exhibitions and is included in many museum collections, including those of the Carnegie Museum of Art; the Corcoran Gallery of Art; the Dallas Museum of Art; the Hirshhorn Museum and Sculpture Garden, Smithsonian Institution; the Metropolitan Museum of Art; the Museum of Fine Arts, Boston; the San Francisco Museum of Modern Art; and the Whitney Museum of American Art.